Sometimes life has its own way of telling you that you should have just stayed in bed. For instance the following might happen when you're cycling back after doing some sunday afternoon groceries. 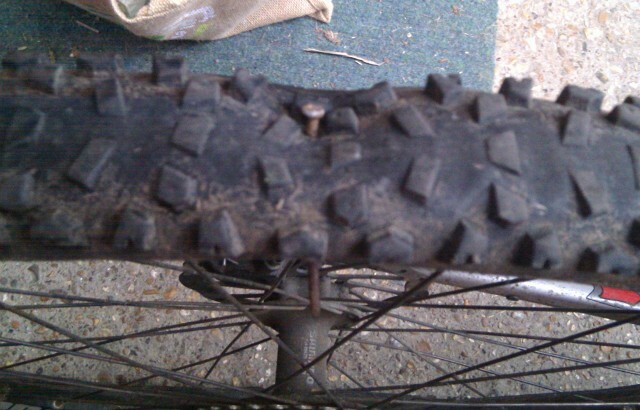 Oh well, guess it's time for a nice walk to get some fresh new inner tubes.